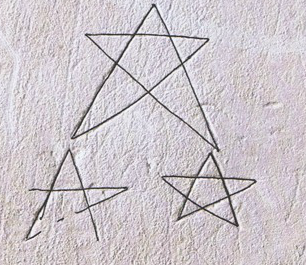 pentagrams and other “witch marks” meant to ward off evil. Portal 13 (2018). Shelter us from evil.